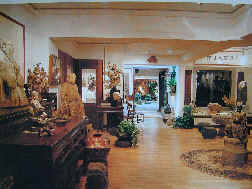 5000Art.com is an online trading, exhibiting and researching Chinese antiques center. 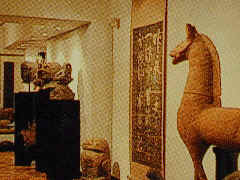 The website is named 5000Art.com because Chinese history has lasted for more than 5000 years. 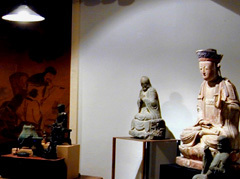 Managed by Reminiscence Culture Co. Ltd. in Taiwan, 5000Art.com has representatives in the United States, United Kingdom, and Canada to manage trade affairs. Reminiscence Gallery founded in 1995. 1.Collections of Reminiscence Culture Co. Ltd that keeps buying from Mainland China, Hong Kong, Taiwan, United States, United Kingdom, and Canada. 2. 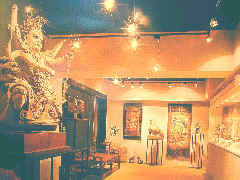 Collections of more than twenty joint antique shops in Taiwan. Many of these shops have first hand supplies from China, Hong Kong, and Macao. 3. Collections of antique collectors all over the world. If you do not see anything that interests you on our online shop, please e-mail us about the types of items you are looking for. We may just have the exact piece you are searching for in our inventory of thousands of items. We may also provide additional help through our joint shops and collectors all over the world. The buyer could resell the item bought from e-shop of 5000Art.com on e-Resale Shop any time. We do not charge any commission or other fees. We keep the photos and data of every item, so the process of resale is very easy, just email us to make arrangement. Honesty, Quality, and Professionalism are our traditions. To offer 100% buyer satisfaction guarantee, we attaches a proved document of every item sold. Buyers can return the items within 10 days of receipt without any questions asked, provided that the items remain in the same condition as when they were sold. We will refund the full price of the item but buyers are responsible for the shipping, handling, insurance, and auction fees. All items are guaranteed to be of the period, age, and conditions as stated in the proved document. Within one year of receipt, if an item is proved with written evidence by an legally registered independent appraiser of Asian Antiques that not matching the description in the document, we will refund the full price of the item and all the shipping , handling, and insurance fees. All items will be packaged in a brocade box and delivered by professional couriers. To better service collectors of Chinese antiques, 5000Art.com provide an online appraising service by photos. We are constructing the online files of Chinese history allusions and cultural stories related to Chinese antiques. The files of e-Shop items will be listed first. The files all rights reserved but welcome link. You are welcome to exhibit your collections with other collectors all over the world. Please contact us to make arrangement.